Tabletop SEM EM-30 Plus support after Installation? The Coxem EM-30 SEM is very simple to maintain in top working condition by the end user. Thus, we do not push annual service contracts like most SEM suppliers but if desired by the customer, we are happy to provide a service contract. At most, we would recommend customers to not have anything more than perhaps an Annual Preventative Maintenance contract for cleaning, aperture replacement and calibration depending on the users experience and the lab environment the SEM is used in. A full service parts contract is simply not necessary nor a frugal use of your funds for these type systems. Our Tabletop SEM systems are designed to allow most of the regular maintenance to be performed by the customer. This results in a low total cost of ownership. 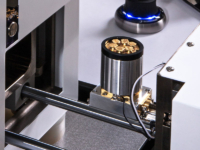 The Maintenance Manual for this system is without a doubt, the absolute best that we have seen for any Tabletop SEM. Should you ever anticipate a repair situation or have an issue needing attention, we first utilize over the web software tools to diagnose the system. Often, it is a simple software setting that has somehow gotten altered. At worst, if an electronic board is at fault, these are very easy to replace by the customer if the cost of a service visit is a concern. The circuit boards are all rack mounted for easy replacement. Our local representatives are also available to help. The electronics found in all of the competing technology are much, much more difficult to service and as such, is something a customer would never be capable of performing nor suggested. The EM-30 Tabletop SEM system has a surprising amount of open space inside which makes servicing much easier. We challenge anyone to have a look under the cover of any of the competing technology from Hitachi, Phenom or JEOL. All of these systems have very difficult access to most parts which makes it impractical for any user servicing and simultaneously adds significant hours of service engineer time you would need to pay for to do some task that should be fairly simple. The Coxem EM-30 is much more friendly for service engineer part access while not making the size of the SEM significantly larger. There is also no external power supply module like some of the other competing technology use for their systems – our total package size is actually smaller. How is the CX-200plus and EDS supported for Installation and Warranty (and after)? Staring with Installation for the CX-200plus, our Element Pi staff installs the SEM and a technician from the EDS supplier typically installs the EDS. The EDS Technician typically only does cursory software training and maintenance overview of the EDS. Our Application Manager who does the SEM training and assists the EDS Technician will stay and provide a more in-depth EDS training with you using your applications and samples if desired. During or after warranty, Element Pi staff would do any repairs or adjustments necessary on the SEM. You would typically contact Element Pi first and we would make a determination how to proceed and whether any EDS service needs to involve the EDS supplier. We can also offer an Annual PM Service contract if you are interested to have us do that. The Annual PM service includes aperture replacements, chamber cleaning, calibration adjustments and more. We also provide a maintenance manual if you wish to do maintenance yourself – something that no other supplier would typically do. Thus, you are not beholden to us to do general upkeep maintenance. For the EDS during or after warranty, the EDS Supplier would perform all repairs and offer extended warranties. A longer warranty can also be included in your initial purchase. Extended warranties for the EDS are available with or without an annual preventative maintenance service. For “how-to” questions type support or assistance related to your applications, you would start with our Applications Manager. We would bring in the EDS supplier if necessary to help further. If you knew your question was purely EDS related, you can contact the EDS supplier directly if you prefer. Both Oxford and Bruker have large support teams for customers. They also offer an extensive collection of training courses at their facilities. Colorizing SEM Images – How do I add Color to my images? What type of Vacuum Pumps does your SEM use? Our Tabletop SEM uses a Pfeiffer Hi-Pace80 Turbo pump which is pretty much the standard TMP used in these smaller SEMs. There is also a roughing pump. We offer 2 types. Our standard is a Rotary Vane Pump which has an oil reservoir that needs to be drained and filled about every year or two. The optional pump is a Pfeiffer MVP Diaphragm pump which uses no oil but due to its back and forth cyclical design, it does create considerable vibration which can be a consideration for some installations. This type diaphragm pump is what all other suppliers use (Hitachi, Jeol, Phenom). We feel like the RVP is a better choice since it pulls a lower vacuum and thus better imaging. For instance, we are not aware of any sputter coaters using a diaphragm pump becasue their ultimate pressure is higher than an RVP style pump. We find that the RVP style pump also produces less audible noise which can often be a factor in some lab and office environments. If you need an oil-free roughing pump, the diaphragm is the better choice however there are other oil-free pump choices that also produce higher vacuum levels such as scroll pumps. Can EDS be retrofitted to your SEM after purchase? Absolutely. The EM-30 Plus and EM-30AX Plus are exactly the same SEM. The “AX” just designates the EDS is pre-installed at the factory. If we add EDS later though, there would be an additional installation charge. For the CX-200plus, it has a standard EDS port that all of the EDS manufacturers can adapt their systems to. In fact, you don’t even need to buy the EDS from us but we hope that you will. Likewise, for the CX-200plus, EBSD and CL (cathodoluminescence) can be added initially or retrofit at a later date. Great article from Microscopy Today explains tips on getting good cross sectioned samples for SEM analysis. ABSTRACT: Preparing cross sections of particulates and wires for scanning electron microscopy study without inducing mechanical damage is difficult. Embedding materials in commercially available epoxy before polishing with a broad unfocused ion beam (like CP-8000 Cross Section Ion Mill) is a simple and inexpensive way to produce a cross section with minimal preparation artifacts. A step-wise procedure is provided for embedding and polishing powders, larger particles, and wires. In order to acquire the best analytical results for microstructure, metrology or micro-elemental analysis, specimens are often mounted in a resin “puck” and polished to a mirror finish. The resin mount is often precision sectioned to expose critical areas of interest that lie within the specimen. This process assures that a flat oxide-free layer is exposed for accurate imaging and chemical analysis. The shape, size, and numbers as well as the hardness, brittleness, porosity, heat and pressure sensitivity of the specimens have to be considered when resin mounting. A suitable mounting media (resin) with sufficient hardness, adhesion and chemical resistance is needed. A variety of acrylic and polyester resins with different curing times and properties are commercially available. When selecting a resin, it is important to utilize resins that do not outgas and create vacuum problems. There are many tricks and tips available to guide users on how to prepare a great SEM mount. For instance, low viscosity resins and the use of vacuum impregnation are very useful to help support friable and porous specimens. Watch for publications on these topics and a future FAQ posts on Ion Mill Cross Section Polishing to achieve the absolute best defect free surface for imaging at the nanometer scale. Buehler, Struers and others provide comprehensive guides (see links below) with methods outlined for most any type of material. This serves as the perfect starting point for determination of the best practice and supplies needed. Using a carbon evaporator or coater to apply a thin electron transparent layer (approximately 20-25nm) to the polished surface. * Carbon is the preferred coating material for the chemical characterization by EDS due to high transmission of x-rays. Using a metal sputter coater to apply a nano-thin layer of electron transparent pure metal such as gold or palladium or a metal alloy such as 60gold:40palladium to create a conductive layer to dissipate charging electrons. Conductivity and grain size of the coating is variable based on the type of metal sputtered. High resolution images require a thin highly conductive, fine-grained coating * For EDS analysis, it is important to keep the layer ultra-thin (less than 10nm) and use a metal that will not interfere with the elemental chemistry of the sample. Most EDS software allows defining the coating material and its thickness to compensate for its effect. Adding conductive powders to the resin to give it a conductive behavior. This works well with samples that are already conductive themselves and eliminates the need to coat the resin mount. However, for non-conductive samples like ceramics, plastics or some minerals, this will not be adequate and coating is still necessary. If the specimen inside the resin mount is conductive and large enough to accommodate it, a simple piece of copper tape or silver paint is often used to ground it to the sample holder or stage to create a conductive “bridge” over the insulating resin. * Pay attention to the sides of the resin mount as a conductive path is needed to reach the SEM sample holder and stage. If the carbon coating does not contact a conductive part of the stage or sample holder, use a bit of carbon or silver paint or a small piece of copper tape from the coated surface to the bridge the gap. There are many practical reasons for utilizing resin mounted samples in microscopic analysis. It is usually not difficult to find a method others have found that works well. Once you have the proper equipment and supplies, achieving the highest quality results is a simple process. As the saying goes in Electron Microscopy – “the data and imaging will only be as good as the sample preparation”. Spending appropriate effort in sample preparation is paramount to achieving satisfactory electron microscopy. Our EM-30 and CX-200 sereies SEM systems are delivered with a starter kit that includes most of the basic supplies you will need including 8 pre-centered wehnelt/filaments for the electron gun. Replacements can be ordered from element Pi or most items can be found at any of the microscopy supply companies on our links page. We have listed a number of Electron Microscopy supply providers along with our suggested consumable supplies on our MICROSCOPY LINKS page. Each application has its own specific requirements to achieve the most optimal sample preparation and presentation of the sample with the SEM. We are happy to recommend supplies to you that would be useful for your application based on our extensive background in sample prep and techniques for presenting samples to the SEM properly. Our SEMs are delivered with a variety of sample mounts and accessories. The most common and easiest to use is our quick-connect holder that allows mounting up to 7 pin stubs of 6.4mm diameter, or 3 pin stubs of 12.7mm diameter or 1 pin stub up to 32mm diameter. Visit this LINK to see options and source for standard pin stubs. Visit Rave Scientific for a great overview of the infinite possibilities that can suite most any specific sample type or workflow. If you currently use or have a preference for mounts and holders from other SEM stage platforms such as Hitachi M4 style mounts or JEOL style cylinder mounts, then visit the Stub Adapters webpage or our staff has in-depth experience with adapting to various SEM stage platforms, please ask for our advice.